My heart was racing as I ran like boys to tea. 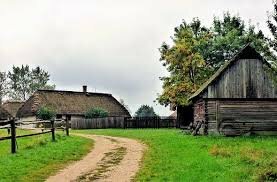 I lived in a house which I love to call a farmhouse; where we breed domestic fowls, while a neighbor of ours breed goats and ducks, then another neighbor of mine had two dogs. We planted at times too but the fowls always ate the crops as they grew, in spite of how hard we tried in protecting the plants. Wow! I exclaimed with so much excitement, as my elder sister and I were playing on that fateful day when Mother duck waddled peacefully past us with her ducklings following behind and at that moment my sister and I noticed for the first time how beautiful the ducklings were, they all had beautiful yellow and few black feathers. 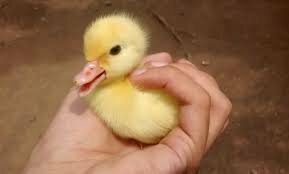 Without further ado but with the curiosity and innocence of a child, I picked up a duckling and I immediately regretted that decision. Quacks from Mother duck began, which obviously meant I should return her duckling. 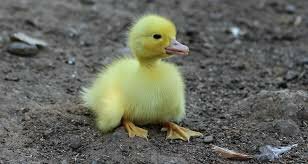 My elder sister who wasn’t in for what was likely going to happen if the duckling wasn’t returned immediately, advised that I drop the duckling: I refused, hoping the duck would acknowledge that I was only admiring her duckling and meant no harm. Mother Duck flew at me and tried attacking with her beak and my heart skipped a beat, but I wasn’t ready to release the duckling and so I ran as fast as my little legs could carry me to the backyard for safety. “I am safe” I said to myself as I gasped for breath in the backyard. Few seconds later I heard the flapping of wings. It can’t be Mother duck flying over the roof because ducks don’t fly that high, I thought to myself as I turned around. I sighed as Mother duck in all her glory flew towards me at a furious speed and then I realized my theory on how high a duck could fly was wrong. 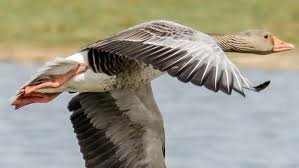 I was to learn later that ducks could fly at an altitude of 200-4,000 feet but are capable of achieving much greater heights. One can only imagine the heights Mother duck would go in trying to save her duckling. I wasn’t as safe as I thought. I ran back to where it all began. Mother duck flew over the roof again, but before she could get to me I threw the duckling at her and it landed in a mud close-by. I felt really bad that I threw the duckling in such a manner. Mother duck immediately used her beak to comfort her duckling as I went inside with perspiration running down my forehead. I had no desire to ponder hard on what Mother duck would have done to me if she had caught up with me. Fast forward to over 20 years after, I now truly understand a mother’s instinct to protect her child at all times. I am a blessed mother to a wonderful baby girl and can’t imagine a stranger taking my daughter from me, stating or not that he/she admire's her. I refuse to think of what might happen to that individual; but then we pray not to be led into temptation. After the Duck incident, I stayed clear of animals and their little ones and whenever I feel like I’m overprotective of my daughter…… I remember Mother duck and her duckling. If she could go that extent to ensure that her duckling is safe, why can’t I do same.